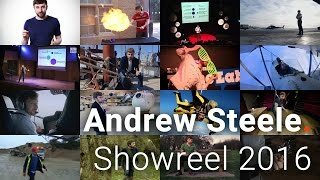 I’ve just finished editing my showreel so, if you want to see a four-minute resumé of my recent talking, please check out the video above! If you want to find out more, check out my presenting page. Check out the UK or US websites or watch a clip from this documentary series, examining how historical innovations have made modern technological marvels possible. Footage used courtesy of TwoFour Rights. Thanks guys! Making sense of science spending with eye-opening everyday comparisons. Check out scienceogram.org, or watch my talk at the 2015 Science is Vital rally, or my TEDx talk on the topic. A competition seeking out the world’s top new science communicators by asking them to explain a complex topic in three minutes or less. I was the UK winner in 2012 with a talk on the quantum mechanics behind the colour of carrots, and went on to the International Final at the Cheltenham Science Festival where my talk on 3D glasses scooped the Online Vote.